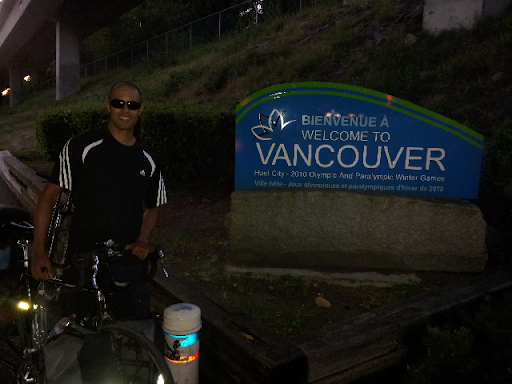 Eduardo Born: Arrived in Vancouver, Canada!!! I actually made it here yesterday but had no signal until now... Once i crossed the Canada border I had to turn international roaming on, and I don't have that in my plan. So while pin Canada I'll have to update the blog just thought Wii. Right now I'm at a bar with some really nice folks I meet here. I stayed in their home last night, they are called Andrew and Anya. Here is a picture I took yesterday when entering Vancouver.